Planning, clearing, grading, grooming, bridge building and removing brush, stumps, and other obstructions requires the expenditure of time, money, and effort. 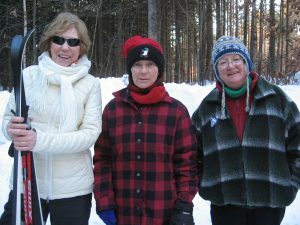 To ensure that the Machickanee Cross Country Ski Trails can be adequately maintained and improved for the future, donations, and volunteer assistance are needed. Annual donations include addition to the ski club mailing list, monthly newsletters, notification of workbees, info on club activities, up-to-date trail conditions, and other club information.